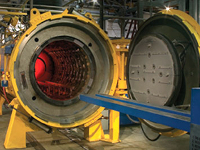 Vacuum furnaces are typically used in heat treating, brazing, stress relieving, normalizing, annealing, tempering or sintering applications in industries such as medical, industrial manufacturing and aerospace components etc. 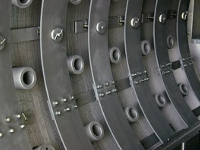 Aeromac Thermal provides a range of Solar Manufacturing, USA vacuum furnaces. These are the most cost effective, energy efficient, technically advanced and highest performing furnaces on the market, benefiting from Solar's decades of design, process and manufacturing expertise. Internal Quench Furnaces A horizontal front loading, internal quench, vacuum heat treating and brazing furnace generally designed for high production commercial and captive heat treating shops. It is a high temperature, high vacuum, batch type furnace with electric resistance heating elements. Available as 10-bar or 20-bar variants. A horizontal front loading, external quench, vacuum heat treating and brazing furnace generally designed for high production commercial and captive heat treating shops. It is a high temperature, high vacuum, batch type furnace with electric resistance heating elements. 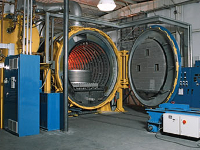 Car Bottom Furnaces A horizontal, car bottom, vacuum heat treating furnace specifically designed for large, heavy loads. It is a high temperature, high vacuum batch furnace with electric resistance heating elements both in the circular hot zone and the full length of the car bottoms. 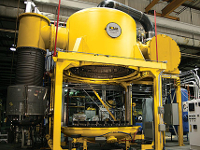 Vertical Bottom Loading External Quench Furnaces Vertical bottom loading, external quench, vacuum heat treating and brazing furnaces generally designed for high production commercial, aerospace, and captive heat treating shops. They are high temperature, high vacuum, batch-type furnaces with electric resistance heating elements. 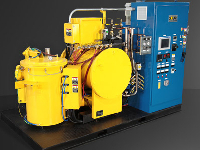 Compact Furnaces - "The Mentor™" We also offer a horizontal front loading compact vacuum heat treating and brazing furnace, "The Mentor™", generally designed and developed to accommodate small to mid-size furnace loads in an efficient and economic manner. It is a high temperature, high vacuum, batch-type furnace with electrical resistance heating elements. 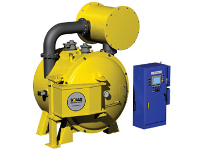 The furnace is mounted on a single, portable platform for easy shipment and maneuverability. 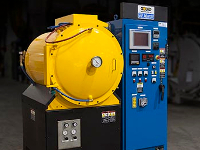 Lab Furnaces A vertical, top-loading vacuum heat treating and brazing furnace generally designed for research and development applications in laboratory and university settings. It is a high temperature, high vacuum, batch type furnace with electric resistance heating elements. Carburizing Furnaces A horizontal front loading, internal quench, vacuum carburizing furnace generally designed for high production commercial and captive heat treating shops. It is a high -temperature, batch type, vacuum carburizing, furnace with electric resistance heating elements. 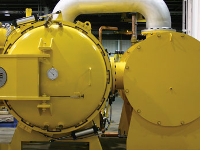 Nitriding Furnaces A horizontal front loading vacuum gas nitriding furnace with electrical resistance heating elements designed for commercial and captive heat treating shops. 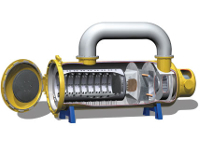 It is a vacuum, batch type furnace. Other Products We also offer hot zones and control systems.